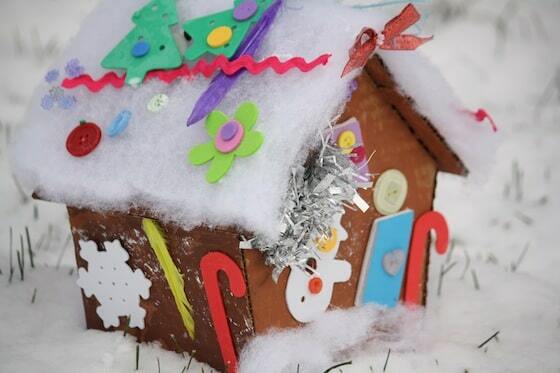 Looking for a candy-free gingerbread house idea? You’ll love this one! 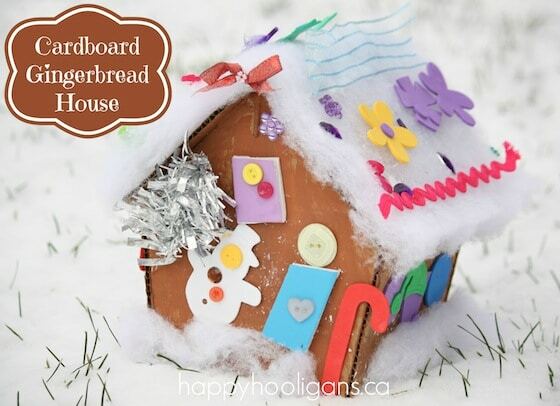 Kids can decorate this cardboard gingerbread house with colourful scraps from the craft room. 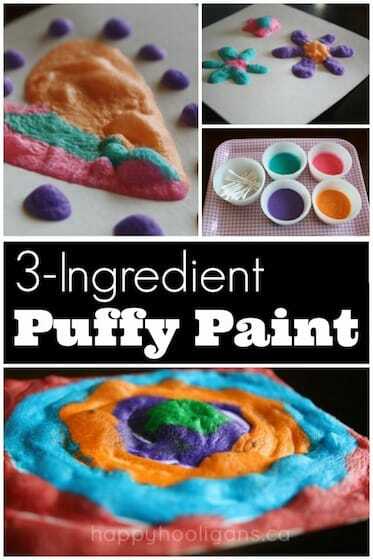 It’s a fun activity for kids to do at a Christmas party or as a group at daycare or preschool. 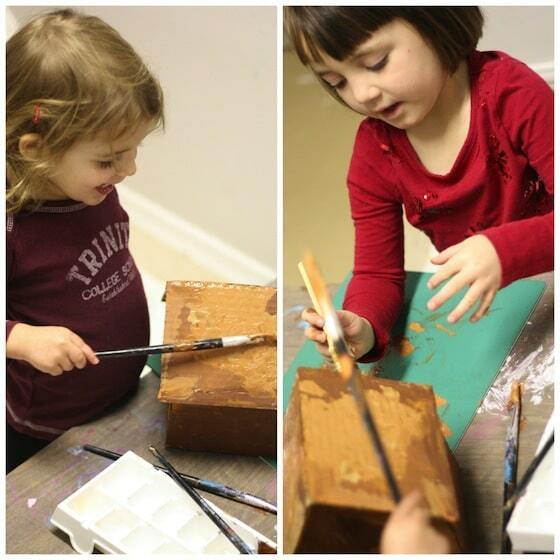 Don’t you love a good gingerbread craft at Christmas time? Gingerbread and Christmas go hand and hand, and decorating a gingerbread house is one of those traditions that the kids just love to do every year. If your kids love decorating a traditional candy house, but you’re not crazy about them getting into a lot of sugar, this cardboard gingerbread house is the way to go. Isn’t our little house just the sweetest? It was a lot of fun to make, and it will keep for years. Much longer than any candy house your kids could ever make. 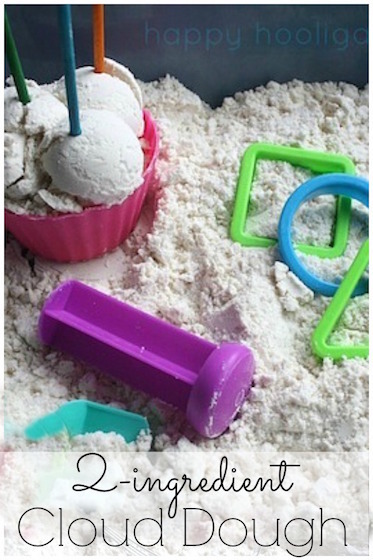 Let’s gather our supplies and I’ll show you how to put this activity together for your kids. It’s easy! I simply drew my shapes on a piece of paper, and then cut them out. I then traced them on to a thick piece of cardboard and cut those pieces out. 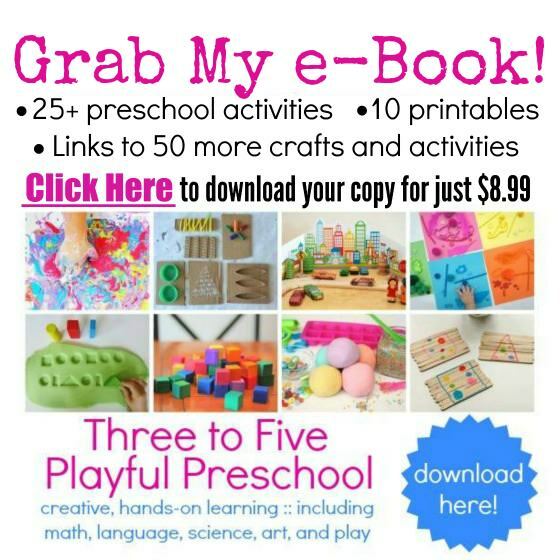 Sorry there’s not a printable for you. I’m not that technically inclined yet. Ignore the door and windows. 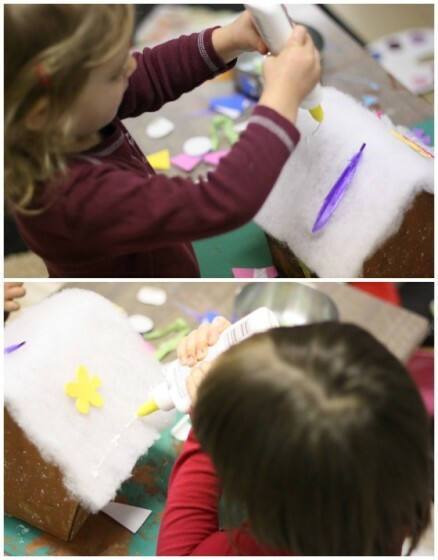 We decided it would be more fun to use colourful scraps of foam and ribbon doors and windows. I used a hot glue gun to put all of my pieces together. To start, I poured a couple of colours of brown paint, and the hooligans covered the sides and the roof of the house. Next, I gave them a piece of quilt batting that I had cut to roughly match the size of the roof. They coated the roof with glue, and pressed the batting in place. Presto. A snowy rooftop. 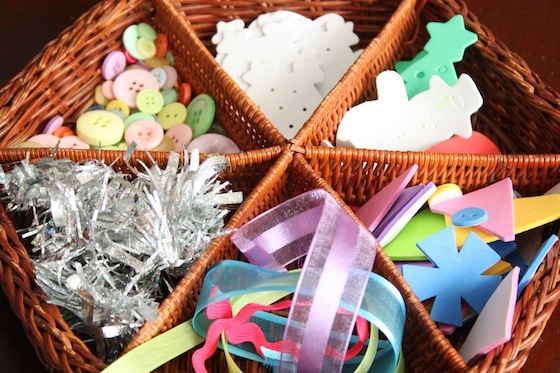 Then I gave them a sectioned tray filled with crafty bits and pieces, and the fun began! The girls spend ages gluing bits and pieces all over their house, and decorating it like they would a real gingerbread house! The great thing about this gingerbread activity though is no-one was squabbling over the candy and they weren’t all hopped up on sugar at the end of the morning. And now, we have an adorable gingerbread house that will last forever. I’m sure we’ll bring it out year after year, and reminisce about how fun it was to make. To see all of our easy and affordable Christmas crafts and activities, check out my Hooligans Xmas pinboard! 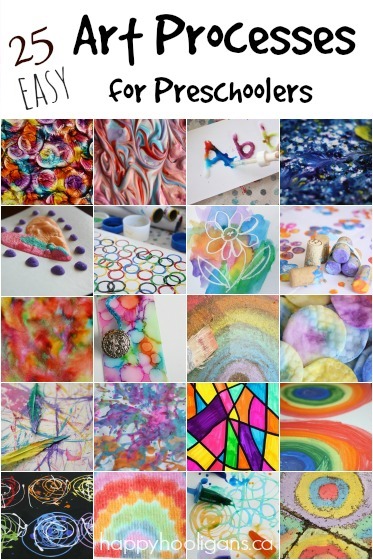 I know my kids would LOVE to do this. I love the open-ended fun in your set up! Thanks, Rachel! This really was so fun. Glad you liked it. You can buy cookie cutter sets that have the shape of the gingerbread house, at most stores. Just use them as a template for the walls and such. 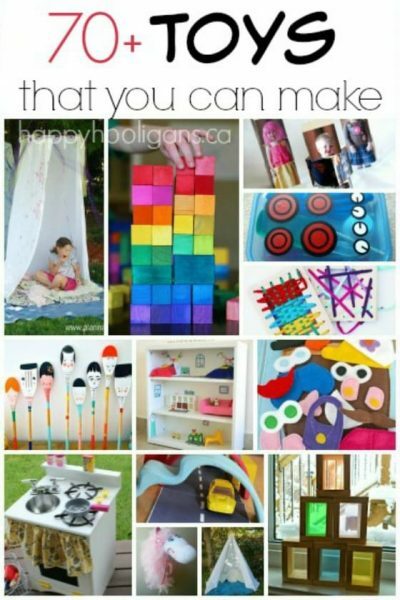 This is a great idea and I am going to get my special needs daughter to make some for our home. Great learning fun without realizing they are learning, haha. Have fun with it, Debbie! Great thinking with the cookie cutters!